RACINE—Robert J. 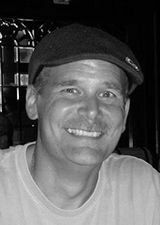 “Robbie” Schneider, 53, passed away at his residence on Monday, November 5, 2018, surrounded by his loving family. He was born in Racine on October 13, 1965, the son of Robert and Kaye (nee; Bertelsen) Schneider. His funeral service will be held in the funeral home, on Sunday, November 11th, at 2:00 p.m., with his longtime friend, Rev. Dr. Warren Williams officiating. Visitation will be from 12 O’clock noon until the time of the service. Military honors will follow.